Our multisite WordPress network is now running PHP 7.2. This change was necessary because PHP 5.6 will no longer be supported after December 31, 2018. Site performance should be improved after this update, as PHP 7 boasts remarkably optimized memory usage, and WordPress running under PHP 7 can run twice as many requests per second as the same platform running PHP 5.6. If you can't find what you are looking for, send an email to wordpress@princeton.edu or use the "Ask for Help" link in Services Now @ Princeton (SN@P). OIT’s Web Development Services group administers the managed hosting environment, powered by WordPress. All sites in the OIT-managed WordPress environment now use Princeton University's Central Authentication Service (CAS) for authorizing access to protected pages, including the WordPress admin dashboard. This replaces the LDAP-integrated WordPress login page. The old WordPress log-in page is on the left; the CAS log-in page is on the right. Accessing /wp-admin or wp-login.php will automatically redirect to the CAS login page. After authentication through CAS with a Princeton netID and password, a logged-in user will be directed back to the original WordPress site. If a netID uses Duo two-factor authentication, Duo will work the same here as with any other CAS-enabled site. One feature that is not available with the new CAS solution is the ability to bulk add authorized users to a site. We hope to find or write a plugin that will re-enable this feature. Enabling CAS was one of the last milestones before migrating all of the sites in our managed WordPress environment to a cloud hosting provider. 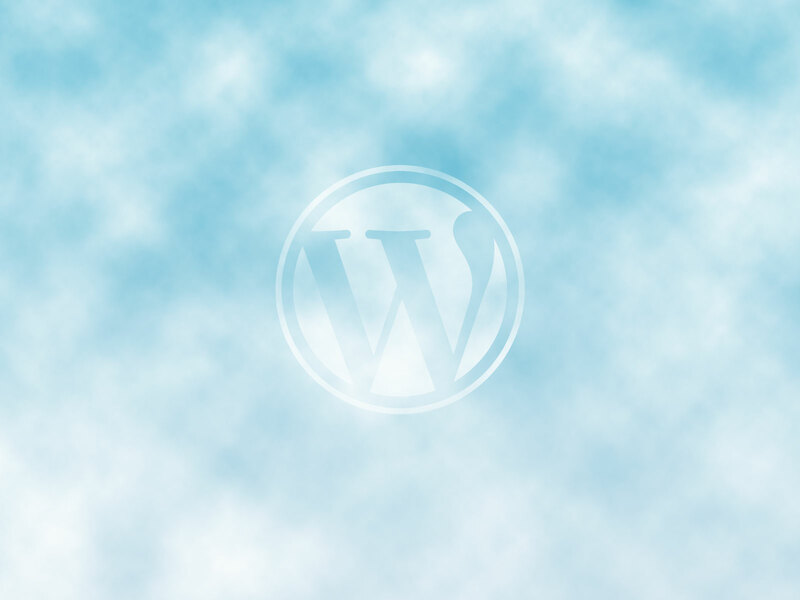 This morning we deployed WordPress 4.7 to the OIT-managed WordPress environment. One of the main new features of the new version is a brand new default theme, Twenty Seventeen. This theme is not yet activated across our network because I want to first create a child theme that includes the option to add the Princeton University branding to the footer. I will get this theme deployed by the end of next week. One of the main new features is that the Custom CSS feature is now available in the WordPress Customizer, allowing live previews of CSS design changes. This builds off of the custom CSS feature that is part of the Jetpack plugin suite. Two security vulnerabilities in earlier versions of WordPress necessitated that we move to version 4.5.2. New features of WordPress 4.5.x include an inline link editor, live responsive previews in the Customizer, custom site logos in themes that support this new feature, and a few under the hood improvements. I have deployed WordPress 4.3 across the sites in our WordPress network. New features include formatting shortcuts in the editor, an option to edit the menus in the customizer, and a customizer option to add a browser and app icon to your site. The “enforce strong password” feature does not really apply to our environment, as we manage our passwords in the Princeton University directory service (LDAP) instead of locally within WordPress. Normally we wait for the breaks in between semesters to deploy feature updates to WordPress core. However, a cross-site scripting (XSS) vulnerability was discovered recently in the WordPress commenting system. A patch was quickly released for the latest feature release (4.2), but not for the release that we were running (4.1.2). All site networks protected by the Akismet anti-spam plugin (as this one is) should have been protected against this vulnerablity; however, we decided to play it safe and upgrade to WordPress 4.2.1. The new features for this release are minor. They include support for 4-byte Unicode characters like Han characters and emoji.  The “Press This” bookmarklet tool was enhanced. Tumblr and Kickstarter were added to the list of supported oEmbed services. You can now switch themes right in the appearance Customizer. Also, the WordPress admin interface has a tweaked default color scheme — consistent cool grays replace the neutral and warm grays. You can see a full rundown of the new features in this video from WordPress.TV.